China Certification & inspection group (CCIC) is an independent third party certification, inspection organization dedicated to providing inspection，verification，certification, testing evaluation and control services. 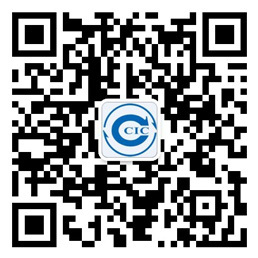 CCIC enjoys great reputation wordwide and is the most influential and comprehensive multi-national inspection & certification organization in China.Developed over 30 years，CCIC Fujian which is one of the core members of CCIC group is dedicated to the field of quality, safety, health, environmental protection. Depends on global applicable technology standard，CCIC Fujian transitive trust among governments、organizations and individuals, provides safe, sustainable and comprehensive one-step services for clients in the west coast of the straits economic zone, the country and even the world.CCIC Fujian, as a quality and safety service providers around you,the business cover minerals, foods, agriculture and sideline products, petroleum and chemical products, consumable goods, industrial products, safety assessment, occupational health, professional pest management, judicial expertise, environmental detection and many other fields, Involving thousands of products. We can provide convenient, efficient, affordable and professional services through our Independent, fair and excellent professional skills to help you manage quality cost, strengthen the advantage of competition and create the core values.